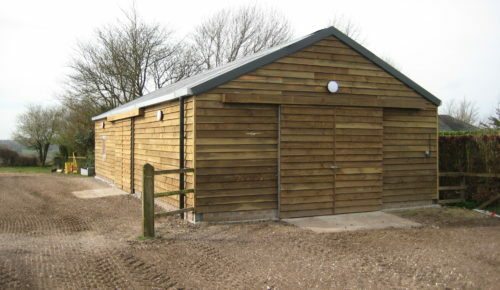 We believe in delivering the best both in our service to you and in the equestrian buildings and facilities we provide. Whether you are professionally involved in the sport, or a horse owner wanting to fulfil the dream of keeping a horse at home, we understand the importance of creating the right environment for you and your horse with our quality equestrian buildings and riding arenas, gallops and other facilities. We will meet you at your premises to discuss your requirements in full offering our knowledge and advice to ensure your requirements are met fully and then provide you with a detailed quotation for the project. We have the experience to advise you at every step of the project, including the planning process offering you help and advice. With our ability to offer a turn key “one-stop-shop” our TOTAL service will save you time and unnecessary costs whilst ensuring the highest quality of workmanship from our experienced team carrying out all aspects of the work for you. "Total Equestrian installed our arena several years ago and not a day goes by when it isn't put to good use. It is one of the nicest places on our Farm and we love working our horses on it. The surface gives us outstanding performance coming back time after time even in this sh#%ty weather." "Steve and his team have worked on a couple of projects here at the Pembroke Centre putting in stables and a pathway through the woods. They were considerate and helpful - the work was excellent and hassle-free. We would use Total again and highly recommend them." "I have used Steve and the team in the past, so when I moved to Berkeley they were my first choice to build my new arena and extend the stable yard. Total designed a layout that really works and completed the works with minimum disruption and to the highest standard." "Steve and his team put in an arena for me in December 2015. Throughout the process they were helpful and communicative. Work was done to schedule and to the highest standard. I would definitely use Total Equestrian Construction again and highly recommend the Company. " 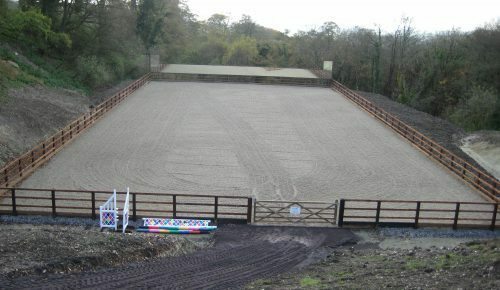 " I was recommended to use Total Equestrian Construction for some work at my yard by a friend, they did an excellent job for me on time with minimal disturbance , and I am happy to recommend them"
Steve and his team installed a large arena for us at a very wet and muddy time of year. They were a pleasure to have on site, and we have reaped the benefits of the arena throughout the winter. Drainage has been good, and we have received excellent aftercare advice so far. We would certainly recommend Total Construction, who came in within budget and on time.